Earlier last week, there was a terrorist attack in New York City. The weapon was a truck and stopped once the terrorist hit, accidentally or otherwise, a school bus. Within minutes of the attack, everyone dug into their political trenches and hunkered down. Democrats called for thoughts and prayers while asking that we wait for the facts. Republicans immediately blamed Radical Islam and demanded stricter immigration control. The Left acted disgusted by the flagrant politicization of the tragedy while the Right demanded action. Sunday, there was a mass shooting in a Texas church. The weapon was a rifle and stopped one a nearby citizen fired a gun at the shooter and caused him to flee. Within minutes of the shooting, everyone dug deeper into their trench. Republicans called for thoughts and prayers while asking that we wait for the facts. Democrats immediately blamed the NRA and demanded stricter gun control. The Right acted disgusted by the flagrant politicization of the tragedy while the Right demanded action. If you had asked me last year, I would have said their was no chance that there would be another civil war in this country during my life time. Today, I'd say there is a non-zero chance. You don't have to look farther than how we talk about these tragedies. We've dug ourselves into trenches that get deeper by the day. And the trenches move farther and farther apart from each other. And the no man's land gets more and more dangerous. But its not just your opponents you have to worry about anymore. If a Republican suggests that maybe we should have stricter gun control, they are tossed out of the trench by their allies and eaten alive by the Left for not compromising enough. If a Democrat even implies that maybe Islam does have something to do with terror, they are branded a racist and cast to the wolves of the Right for not being tough enough. There is no incentive to compromise. Your opponents refuse and your friends will hate you for even trying. And with each attack, your opponents demand you go farther than last time and your friends are even more hostile to an attempt at compromise. I'm not an innocent bystander in this growing divide either. There are things I refuse to compromise on. And I am sure you refuse to compromise on certain things. But I would never accuse my opponents of having sinister motives. After a terrorist attack, the Right accuses the Left of having blood on their hands. Vice versa on mass shootings. "Indivisible Texas" took to twitter to personally attack Gov. Greg Abbott, blaming his perceived inaction on guns and claiming he is responsible for the murdered in the church. And they did this before we even knew the death toll or what kind of gun the shooter used, much less whether it was a legally purchased fire arm. This is just one of countless examples. The discourse is always toxic. There is no longer a time where the general conversation is calm and friendly. When the Right is caught being wrong about a fact, they pivot back to their point and say their error is irrelevant. When the Left is caught being wrong about a fact, they pivot back to their point and say their error is irrelevant. No one is interested in having "all the facts" because the other side won't believe them, nor do they want to. The pure hatred people have for each other permeates every aspect of the American Culture. Its no longer about friendly disagreements between countrymen. Our differences are all that matter anymore. And when someone disagrees with you, its because they're a sociopath and they don't care that people are dead or dying or whatever. Let's get away from the tragedies for a moment and just look at how we talk about the confederate monuments. If you want them removed, you want to erase history and despise the founding of the country. If you want them to stay, you're a white supremacist who despises people of color. The anti statue crowd goes bolder and bolder, demanding the removal of statues of Washington, Jefferson, and even Lincoln and Teddy Roosevelt, while the pro statue crowd is erecting more on their own property. How can we possibly talk about guns or terrorism if we can't even calmly and rationally talk about a statue? Everyone sees everyone else as a evil. There must be some sinister plot behind your opponent's opinions, and if an ally suggests otherwise, they're a sympathizer and a coward. And the more and more that happens, the more dehumanized we all are. And the more dehumanized we all are, the easier it is to kill each other. And I worry. What happens then? Paid for by The Denton County Libertarian Party. Not authorized by any candidate or candidate's committee. 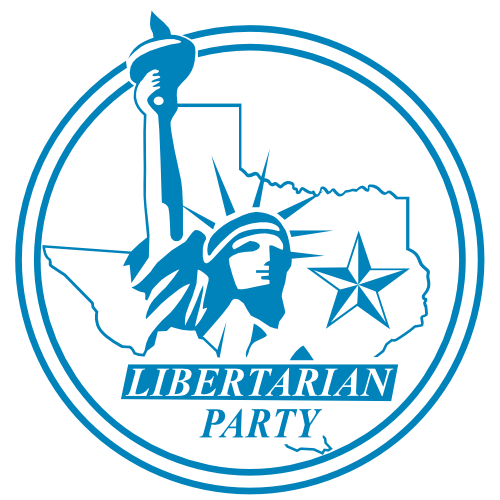 The Denton County Libertarian Party will recruit and develop candidates for local office who defend and advance the causes of individual liberty, minimize government, and defend states’ rights through political action.